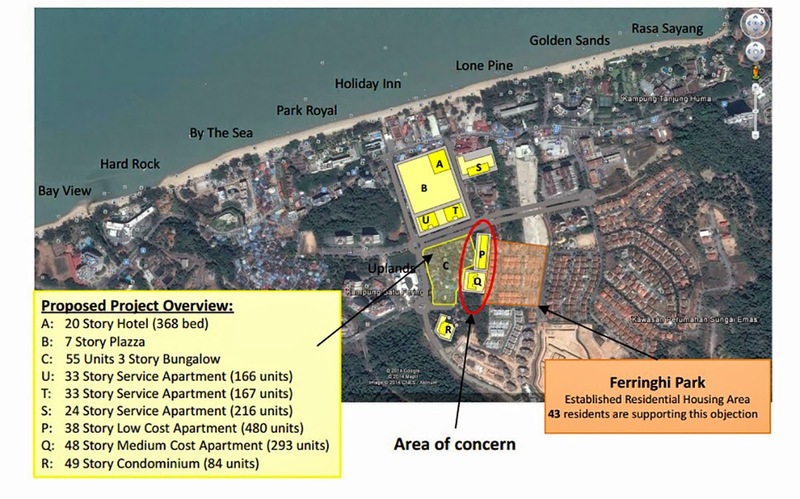 The Penang government’s move to increase building density at a site in the idyllic Batu Ferringhi tourism belt has raised alarm among locals and foreigners who live and have invested in homes in the island’s most popular beach area. 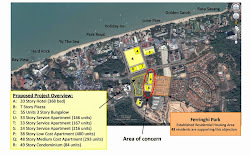 Residents told The Malaysian Insider that the State Planning Committee (SPC)’s plan to double permissible density from 15 units per acre (0.4ha) to 30 units in January would lead to congestion and over-population, while having an adverse impact on Batu Ferringhi’s environment and charm. 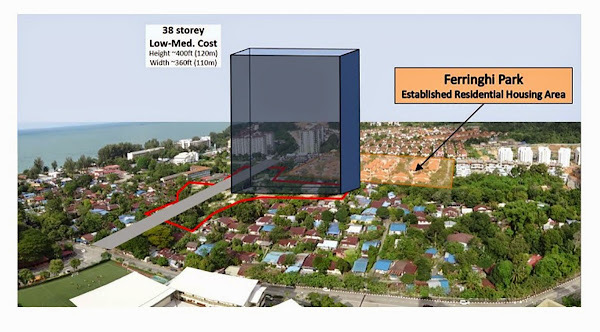 The residents who sighted a Penang Island Municipal Council (MPPP) document on the density change for a planned project there said it also raised questions over the state authority’s planning and decisions on future development of the island in the northern part of Malaysia. Batu Ferringhi comprises a mixed community of local Malaysians, MM2H (Malaysia My Second Homes) registrants, retirees and self-employed foreigners. Most opted to stay there as they had been assured of a green tranquil environment in the low-density residential part of the area, close to an international school. Of the thousands of residents who would be affected, about 18 homes in the Sungai Mas neighbourhood are within 20 metres of, and directly adjacent to, the project site. Some of the residents received a letter from the MPPP about the project on August 18 this year, as required by law due to their close proximity. None of the project details were initially made known to them. It was only when the residents visited the MPPP to solicit details that they realised the size of the project. According to the residents, the proposed plans appeared to include a 38-storey low-medium cost block of flats, a 48-storey medium-cost block and a 49-storey condominium tower. It also has a shopping mall. There was concern that the towers would become inappropriate landmarks, visible from a distance, spoiling Batu Ferringhi’s traditional tourism image. The MPPP subsequently held a hearing, attended by council president Datuk Patahiyah Ismail, on September 30. The project is planned on the site of Kampung Chetty whose residents are being evicted with compensation. Residents are concerned that while MPPP is saying that the project had yet to be approved, many villagers who resided on the site had already moved out and part of the land appeared to have been cleared. “This is supposed to be one of the main tourism sites in Malaysia,” said Andreas, adding that the project would cause a lot of nuisance to residents in the area. Another resident who wished to be known as Glen said a high-density project in Teluk Bahang on the same coastal stretch is already causing heavy construction-related vehicles to frequently drive through Jalan Batu Ferringhi. He said other famous tourism sites like Pattaya and Phuket also had development near their beaches, but they were not high-density, high-rise projects. There are also concerns on whether the public utilities in the area can cope with a surge in population. The sole public sewage treatment plant there saw spillage of effluents in January last year that led to pollution of the river and a section of the beach. “Is the sewage plant prepared for the increase in population?” Andreas asked. The Batu Ferringhi and Teluk Bahang belt also does not have a fire station. The nearest station is 12km away in Tanjung Tokong. Andreas said he was disillusioned by how things in Penang had degenerated. “We used to invite a lot of friends to come here to visit Malaysia. We felt like ambassadors for Malaysia,” he said.